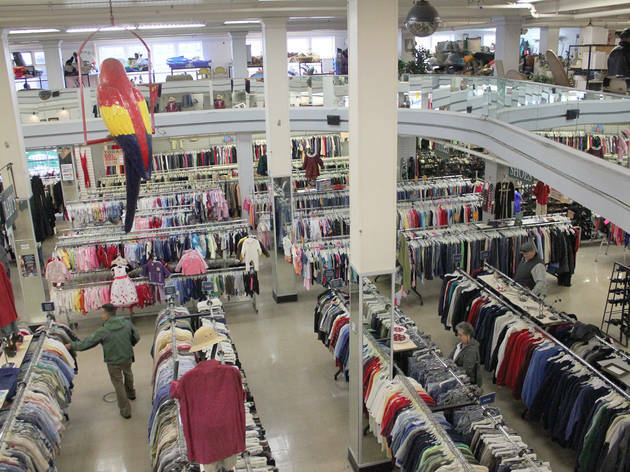 This is not your typical cramped, hipster-packed Mission thrift store: The merchandise—one of the largest selections in the city—sprawls across two stories. 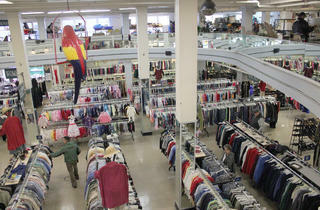 There are clothes for women and men on the first floor, and the shoe assortment is particularly extensive. But the real attraction here is the housewares. Head upstairs to the kitchen area for cookware, electric appliances, aprons, dishes, Tupperware and more. The art is offbeat—many come shopping for the frames, then ditch the work within—displayed alongside a reasonably priced record collection. (Most merchandise here falls comfortably under $15, and the stash is replenished regularly.) The best selection can be found at the beginning of each month, when those moving from the surrounding area into new apartments donate their surplus lights, furniture, books and décor.